Waterproof mascara. I am so not a fan. I have never met a formula that has worked for me and it’s hard on the pocketbook when I constantly experiment with something new. It’s a necessity in life, especially during the summer months, but man oh man… I just want something that is as terrific as normal mascara. I think I’ve found a solution. 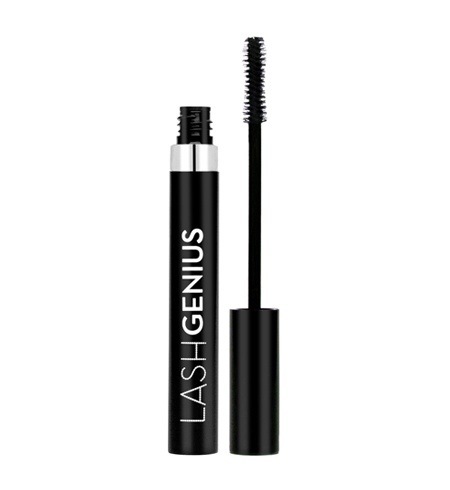 Anastasia’s “Lash Genius” waterproof topcoat is fantastic. It is a clear topcoat that you apply over your regular mascara and it instantly waterproofs, refreshes, and protects your lashes all day long. It really is genius. There’s no drying or clumping and the lightweight formula glides on smooth and dries quickly. Lashes are left touchable with a soft lacquer. It’s super easy to use. Apply your mascara as always and then swipe on 1-2 coats of this waterproof topcoat. Voila! No streaking or raccoon eyes, just fabulous lashes. If anyone knows of a great waterproof mascara, let me know. For now, I’ll stick with this little wonder!